Printable worksheets are a great resource for disguised learning. 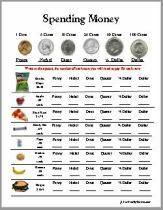 Most all of the printable worksheets that you will find here are geared towards pre-school, first, second and third grades. We get many ideas from our creative, inquisitive grandkids. That is how I originally got the idea to add Coloring Pages and it grew from there. We are adding more printable games of all kinds. Our word search games have been a big hit, so I have been focused on that area, and our trivia games are also a growing category. We are sort of a baby as far as website life goes, only five so please visit often and grow with us. Please feel free to print and use any of these PDF worksheets. I am adding more all the time. If there is a specific request, please use the contact form.